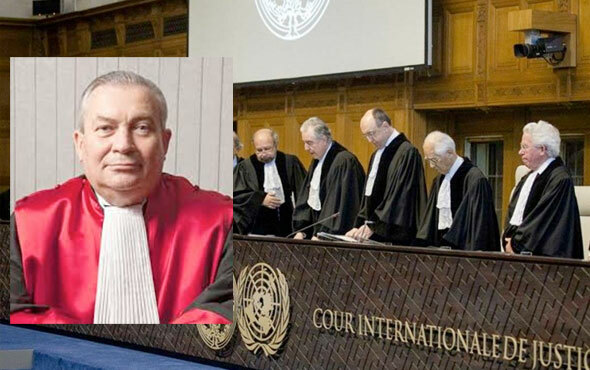 Under arrest as part of a post-coup investigation into the Gulen movement, Aydın Sefa Akay, an Ankara-born United Nations (UN) judge faces up to 15 years in prison. Arrested on Sept 26, 2016, Akay is accused of membership to the movement, attempting to abolish Constitutional order and murder. A judge on the Mechanism for the International Criminal Tribunals (MICT), Akay earlier denied any links to the movement, describing himself as a Freemason. An indictment prepared by an Istanbul prosecutor, claims that he used the controversial ByLock mobile application, which the government claims to be the top communication tool among Gulen followers. The prosecutor seeks between 7.5 to 15 years on charge of membership to a terrorist organization alone, according to Turkish media on Thursday. The government accuses the movement of masterminding the July 15, 2016 coup attempt and describes the movement as an armed terrorist organization. The movement denies accusations. Turkey was earlier referred to the UN Security Council over Aydin’s detainment.